Yamini Punj from Delhi, B.A Graduate. Yamini Punj is Psychologist and currently have no work experience. PSYCH-EDUCATION PSYCHIATRIC COUNSELL.. PSYCHOASSESSMENT TOO.. PSYCHOLOGY COUNSELLI.. TEACH PSYCHOLOGY CHILD COUNSELING ADULT COUNSELING MENTAL HEALTH SINGING & MUSIC COMP.. SINGING AND PLAYING ..
are one of expert skill area's of Yamini Punj . 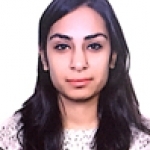 Yamini Punj is working in Teaching/Academic/Education industry.